Keys: dull chunks of metal that have been used to open doors since pre-history. Ugly, heavy when grouped together on a keychain, and easily lost, keys are sooooo last millennium. Don't believe us? Just ask Yale. The lock and security experts have created a whole system of key-less ways to secure your home, and we've had the chance to test yet another in their growing smart range; the Yale Keyless Connected Smart Lock. Remember the Yale Keyless Digital Lock we installed and tested a couple of years ago, well that model just got a hell of a lot smarter. 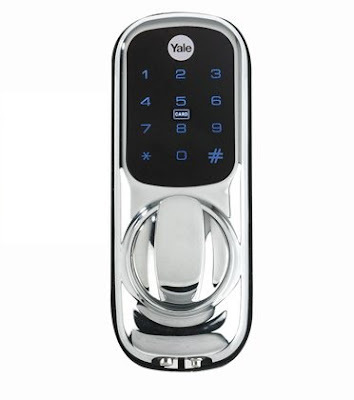 The Yale Keyless Connected Smart Lock uses the same principle (removing the physical metal key and replacing it with a keypad-entered pin code) and takes it further. As well as using a pin code, users can also open the lock by way of a credit card-sized key card, a key tag (which is a small fob that can dangle from a keychain), or just their smartphone, if connected to a separate smart-home system (more on that later). The unit Itself is independent from your home's power supply, running from four included (thanks Yale) AA batteries. When these batteries are starting to run low you get a warning on the lock itself, giving ample time to change them. But should the lock ever be drained of juice, there is a connector on the underside to attach a battery and give it an emegency power it up. The keypad is actually a back-lit touchscreen, so no physical buttons to get damaged or jammed, and there is even a tamper alarm in case some dodgy scoundrel tries to crack it open. A really great feature that we like about the Yale Keyless Connected Smart Lock is the ability to programme it with a short-term 'friends and family' code. This is a separate pin number that you can give out to whoever you want to have access to you home, then after 24 hours it becomes invalid. This way you don't have to worry about leaving keys under a plant pot, or arranging to hand over a spare set for the neighbours; you can simply text them the pin, and they'll be able to enter. And fret not about them blabbing, or misplacing the code, because one day later it will be a dud. But the real smarts, and the justification for the use of 'smart' in the title, is the lock's connectivity potential. The Yale Keyless Connected Smart Lock ships either with a Yale module or a Z-Wave module. These components allow the lock to wirelessly connect to an existing smarthome system you might already have set up in your home. The Yale module allows the lock to interface with any of Yale's smart systems, such as the CCTV system (reviewed here) or their Smartphone house alarm. That way the Yale Keyless Connected Smart Lock can be accessed and programmed via the Yale app, integrating it fully into your home's security. The Z-Wave module allows it to connect to other Z-Wave devices and systems, such as Piper (which we reviewed here), allowing it to be controlled by that app instead. The fact that Yale have included this option, therefore making their product compatible with other systems (who may or may not be Yale's competitors) is both very impressive and progressive. If only all the smart tech in Test Pit Towers was compatible – we'd certainly need fewer apps on our damn phones! This is a great security addition, even if you choose not to connect to a smarthome system. We discovered that our favourite method to open the lock was actually the tiny fob, but knowing that we could quickly enter the pin if so we so chose – like when we can't be bothered to reach into our pockets to retrieve the fob – was refreshing. One thing to note is that the Yale Keyless Connected Smart Lock is only compatible with timber doors. We had designs on installing it on our uPVC front door, but had to settle for the wooden back door instead (tradesman entrance, Madam). So bear that in mind if your home is fully uPVC'd up. 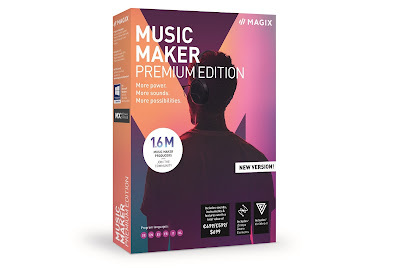 Apart from that, an awesome product from a company that is getting increasingly interesting. High five, Yale!